Nour Productions is a Beirut-based film company founded in 1995 by Mai Masri and Jean Chamoun, two internationally acclaimed filmmakers whose films have been screened worldwide and have won over 60 awards. Nour productions films have been released theatrically in several countries and have been broadcast on more than 100 television stations around the world. Filmography includes: 3000 Nights (2015), Lanterns of Memory (2009), Longing of the Laurel (2008), 33 Days (2007), Beirut Diaries (2006), Women Beyond Borders (2004), Frontiers of Dreams and Fears (2001), In the Shadows of the City (2000) Children of Shatila (1998), Hanan Ashrawi: A Woman for Her Time (1995), Hostage of Time (1994). 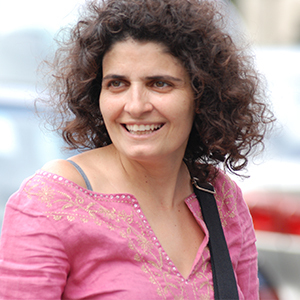 Founded in Beirut in 2007 and managed by Sabine Sidawi Hamdan, Orjouane Productions specializes in the production of feature fiction and documentary films. The team is composed of three dynamic women, Jinane Dagher, Renata Rahme and Sabine Sidawi, who cover all aspects of production while working closely with different Lebanese and European filmmakers and technicians. Orjouane Productions engages in the search of Regional, European, and international funding for the projects it produces. It also manages the execution of the film from preparation (casting, location hunting, set production…) to shooting in Lebanon and the Middle East. Sabine has produced, co-produced and line produced more than 25 films, fiction and documentaries which have been screened and awarded at international festivals and sold around the world, among them "Une Histoire de Fou" by Robert Guediguian, "Peur de Rien" by Danielle Arbid, "The Ugly One" by Eric Baudelaire, "May In the Summer" by Cherien Dabis, “A Maid for Each” by Maher Abi Samra, "74: The Reconstitution of a Struggle" by Rania and Raed Rafei , "Beirut Hotel" by Danielle Arbid, "Carlos" by Olivier Assayas, "We Were Communists" by Maher Abi Samra, "Every day is a Holiday" by Dima El-Horr. Since 1984, Les Films d’Ici has been producing feature length documentaries, feature films, one hour documentaries and film collections. The catalogue contains over 700 films released in theatres, shown in festivals and broadcast on television stations worldwide. 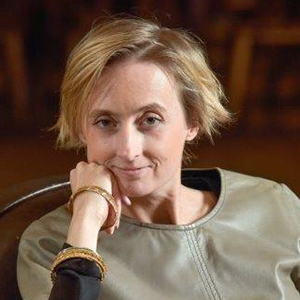 Charlotte Uzu currently manages the international development of Les Films d'Ici and the international financing of documentaries and feature films in partnership with co-producers and broadcasters worldwide. She also develops documentary and fiction projects in collaboration with foreign authors and producers. 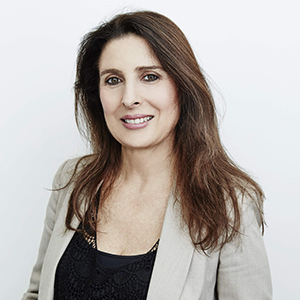 She also produced and coproduced documentary and fiction films with international directors and producers, such as: Cerro Bayo by Victoria Galardi, El Velador by Natalia Almada, The Look - Charlotte Rampling by Angelina Maccarone, Operation Libertad by Nicolas Wadimoff, The Last Hijack - Pirats from Somalia by Tommy Pallota, Le collectionneur and Juan y Vanesa de Ianis Guerrero and 3000 Nights by Mai Masri.